Make a commitment to a grove, river, lake, or trail and clean up litter at your adopted site from April thru November. We will help you choose a site and provide an Adopt-A-Site kit with everything you need for your cleanups. Conduct at least 8 litter cleanups per year, or once per month April to November. 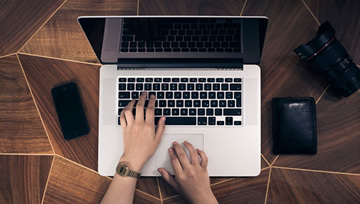 A Coordinator will help connect you to an available site when you sign up for the opportunity. Save the world one acre at a time. Join us for an ecological restoration workday. Cut and burn invasive brush, harvest native seed in season and have fun. This opportunity has a schedule. Click view schedule belowon the left to see available times. Baker's Lake, home to one of the most significant heron rookeries in the Midwest, is a birdwatcher's dream. Join our volunteer group and help restore bird habitat and improve biodiversity. Workday tasks include removing invasive vegetation, harvesting native seed, and other restoration activities. The Bartel Grassland Volunteers are restoring a 585 acre hayfield to a grassland where bobolinks nest in the spring/summer and short-eared owls feed in the winter. Participating in volunteer restoration is one of the best ways to enjoy and develop a deeper understanding of Bartel Grassland. Volunteers can work on invasive plant control, seed harvesting, hydrological restoration and more. * Wear comfortable shoes and dress for the weather. * SIGN UP NOT REQUIRED. Join us to help restore this unique prairie and woodland ecosystem back to health! Trained leaders show you how to identify plants that don't belong and demonstrate how to safely use hand tools to remove them. Depending on the season, workdays may also include native seed collection for dispersal in areas cleared of invasive species, hand pulling invasive grasses and flowers, as well as nature walks to enjoy the preserve. Are you a group? Please note! All the necessary tools and work gloves are provided. All participants should be dressed for a day of outdoor work. Please wear covered shoes (hiking boots or tennis shoes) and long pants. Clothing should be made of natural fibers such as cotton or wool (no synthetic clothing) as workdays often have brushpile burns and stray embers can "burn" clothing. Please wear comfortable clothes that can get dirty and your own drinking water. Depending on the season, a hat, sunscreen, or insect repellant may be good items to bring to a workday. To ensure enough tools and supplies can be provided, please RSVP to Laura Milkert at least two days before the event. Join us at Beaubien Woods and see how the Forest Preserves Celebrates Earth Day! Make an immediate difference when you participate in litter cleanup or habitat restoration. Stay for a hike and other fun activities. -Earth Day activities will run from 9am-1pm. Come and explore the natural communities of Bemis North, which include floodplain forests, woodlands, savanna and marsh. Help dedicated volunteers cut brush, pull weeds or collect seeds depending on season and weather. All levels of experience welcome. Come and explore the natural communities of Bemis South, which include remnant oak woodlands on a terrace above the floodplain forest lining Salt Creek. Help dedicated volunteers cut brush, pull weeds or collect seeds depending on season and weather. All levels of experience welcome. Black Partridge Woods is one of the first dedicated nature preserves in Illinois. The 80 acre site features river bluffs, ravine forests, and spring-fed streams. The preserve boasts one of the earliest and diverse displays of spring wildflowers in the region. Restoration activities center on the removal of invasive species like honeysuckle and barberry with the use of loppers and hand saws. Weather permitting we will build and burn brush piles. * Wear long sleeves, long slacks or jeans, and sturdy shoes. * Natural fiber clothing (wool or cotton) works best, especially when we're burning brush piles. * Multiple layers on cool days allow you to shed a layer as the day warms. * We provide gloves and the necessary tools, as well as snacks. Be a part of river and forest revitalization by joining an inspiring movement of volunteers gathering to restore this special site along the Chicago River. Learn what it takes to restore diverse wildlife, trees, wildflowers, and health in our forest preserves and our river system. Our goal is to grow a community of people who will become caretakers and stewards through on-going education and training. Tools and instructions are provided by the steward. It is not necessary to pre-register, but if a group of more than 5-6 are planning to come, please let the steward know that, so that adequate supplies can be provided. Dress for the weather and the outdoors. We strongly encourage boots/sturdy shoes and clothes that can get wear and tear. Natural fabrics are best, especially when brushpiles may be burned. Bluff Spring Fen is a 100-acre Illinois Nature Preserve. The Fen is a mosaic of upland, wetland, and wooded remnant plant communities and is home to over a dozen threatened and endangered species. Over the past 30 years, dedicated volunteers have transformed this once desolate dumping ground into a world-renowed natural area. The Friends of Bluff Spring Fen continue to restore diversity to the site at twice monthly workdays. Shedd's Great Lakes Action Days are about making a direct and positive difference for local wildlife. Cutting brush, pulling weeds, or collecting seeds, depending on season and weather. All ages and experience levels are welcomed, --including no experience--. Park on Sunnyside Ave and 31st, La Grange, IL. Walk over to the Bob Mann Sign and meet in the grassy lot at the end of Edgewood Ave, where the Salt Creek Trail is located. Join the energetic Brookfield Woods volunteers and help restore local natural areas. Enjoy a few quality hours outside and learn to identify and remove invasive species that threaten biodiversity in the preserves. Dołącz się do dynamicznej grupy wolontariuszy i pomóż przywrócić naturalny stan ekologiczny lokalnym obszarom. Zażyj kilka godzin spokoju i naucz się jak identyfikować i usuwać gatunki inwazyjne, które grożą bioróżnorodności prezerwatów. *Prosze ubrac sie odpowiednio, byc gotowym do pracy na zawnatrz z mozliwoscia pobrudzenia sie. *Warstwy ubran: dlugie spodnie i skarpetki sa zalecane. This is the Notification List for the Brush Pile Building & Burning Class, a training opportunity for experienced FPCC Ecological Stewardship Volunteers with 15+ hours of reported stewardship experience or the recommendation of FPCC staff or Site Steward. To register for the Sunday, February 17 class click here. This class is offered several times throughout the year. To see if there are any available dates, click on the website at the bottom of this page. Click "SIGN UP" to be put on a wait list and you will be notified when a class is posted and you can sign up for it (about 45-60 days before the class date). This is the Notification List for Brushcutter Training, a training opportunity for experienced FPCC Ecological Stewardship Volunteers with 30+ hours of reported stewardship experience or the recommendation of FPCC staff or a Site Steward. Click "APPLY" to be put on a wait list and you will be notified when a class is posted and you can sign up for it (about 45-60 days before the class date). Join the North Branch Restoration Project with the Centennial Volunteers to restore this oak woodland to its former beauty! This 76-acre site is new to restoration and will depend on the community of volunteers to remove invasive species, spread native seed, and much more. Large pin oaks are a unique feature of this preserve, which is also home to some beautiful spring ephemerals. This beautiful preserve is just one example of the rich diversity that once was the vast Illinois landscape. Its open savanna, oak woodland and river bluff ecosystems offer interesting views in all seasons. Join North Branch Restoration Project volunteers as we remove buckthorn and other weedy species, protecting these high quality natural areas. Busse Woods is one of the richest and most diverse natural areas in the Forest Preserves. The Friends of Busse Woods volunteers have been working since 2008 to improve biodiversity and restore habitat. All year long, in all types of weather, our hearty and enthusiastic group meets twice monthly to give back to our environment and enjoy good company. For GROUPS of 5 or more people, please contact bussewoodsfriends@gmail.com before registering to confirm there will be sufficient space for your group. Visit https://bussewoods.weebly.com/ for more information. The trails you love to ride are built and maintained by volunteers, riders just like you. The hours are (kind of) short and the pay is low (ok, no pay), but the work is fun and you do get a free lunch and a chance to ride with the people you just met, after lunch. Be prepared for the conditions and a good hike. Some volunteers bring a change of clothes, especially during the hot summer months. In cooler weather, dress in multiple thin layers to better regulate your temperature. When it is dry, we usually do a group ride after the trail work is done (and sometimes one before as well). So bring your bike gear. We supply you with all hand tools needed. Remember to not over-exert yourself in extreme heat, use tools safely, and only use tools you are comfortable with. One thing to be careful of is poison ivy, though simple precautions will protect you most of the time. Every volunteer must sign an annual waiver. Camp Pine contains a wide variety of natural areas, including sedge meadow, savanna, swamp white oak flatwoods, upland oak-hickory woodlands, and oak-maple forests. Join us as we monitor and restore this site. Wear long pants and sturdy shoes or boots. It's recommended to bring sunscreen, insect repellant, and a hat during Spring and Summer. It is not necessary to pre-register, but if you plan to bring a group of 5 or more, please let the steward know ahead of time. Cap Sauers is the largest nature preserve in northeastern Illinois. Its 1,520 acres feature rolling hills, running streams, and the Visitation esker, a rare type of glacial formation. Restoration activities include the removal of invasive species like honeysuckle and buckthorn, and the collection and distribution of seeds of desirable native plants. Main tools used are loppers and hand saws. Weather permitting, we may build and burn brush piles. * Natural fiber clothing (wool or cotton) works best, especially when burning brush piles. * Wear long sleeves, long slacks or jeans, and sturdy shoes for walking over uneven terrain. La pradera de Cermak se encuentra al oeste del rio Des Plaines y contiene diversas comunidades de plantas nativas. Ayudanos a cuidar este precioso lugar. Con su ayuda podemos eliminar especies invasoras para expandir el habitat de nuestras plantas y animales. Se recomienda traer: Pantalones largos, camiseta de manga larga y zapatos para estar afuera/caminar. Cermak Prairie is an 18 acre natural area within Cermak Woods in Lyons, IL. The prairie lies west of the Des Plaines River and occurs on flat glacial lake bottom sediment and more recently deposited alluvium. The site sustains remnant prairie and wooded floodplain natural communities. All the necessary tools and work gloves are provided. All participants should be dressed for a day of outdoor work. Please wear covered shoes (hiking boots or tennis shoes) and long pants. Wear natural fiber clothing or old clothes that you don't mind getting dirty. This is the Notification List for Chainsaw Training - Safety Assistant, a training opportunity for experienced FPCC Ecological Stewardship Volunteers with 15+ hours of reported stewardship experience or the recommendation of FPCC staff or a Site Steward. The Friends of the Chicago Portage have been working year round since 2002 to return native plant communities to the Portage area as well as keeping the trails clean and clear. Join our group of volunteers working to restore native habitat by removing invasive brush, collecting seeds and pulling weeds. Participants should be able to be outdoors for 2-3 hours and walk on uneven terrain. All tools and onsite training will be provided. Dress to be outdoors and to get dirty.Long pants, long sleeved shirt and sturdy, closed toe shoes are recommended. Wear non-synthetic clothes, like cotton or wool. Weather permitting, there will be a brushpile fire and hot embers can make holes in clothes. Remember your sun protection. A hat or bandana and sunglasses are recommended. Join your neighbors, friends, and fellow river stewards for Friends of the Chicago River's largest volunteer event of the year, Chicago River Day. This year Friends is celebrating 40 years of bringing the river to life and invites you to show your support for a healthier river by volunteering! Together, throughout the 156 miles of watershed, everyday heroes will improve river habitat by collecting harmful and ugly litter. The Chicago River system is home to over 70 species of fish and provides critical habitat for millions of birds and butterflies during migration. Let's show our respect and join together to take care of this amazing natural resource. Volunteers receive a Chicago River Day T-shirt as a special thank you gift! Registration for all Chicago River Day sites is open until Sunday, May 5, 2019 or until the site is at capacity. Chicago Wilderness will offer the Midwest Ecological Prescription Burn Crew Member Training class. Based on the National Wildfire Coordinating Group's (NWCG) S-130 and S-190 courses, this training covers the basics of such topics as fire behavior, controlled burn techniques, and smoke management. The objective is to provide participants with the background necessary to safely participate on the crew of a controlled burn. Please be aware that although the training is accepted by many of the natural resource management agencies in the CW region as the minimum training required for a participant on a burn crew, it does not carry the official NWCG certification. If you already have your CW certificate, you can upload it, to your FPCC Volunteer profile. Must attend and complete the Chicago Wilderness Prescription Burn Training. Then upload certificate to FPCC Volunteer profile. Sign-up for Prescription Burn Volunteers. Nature has inspired artists since the beginning of human history. Help insure that future generations will continue to be inspired by the natural world by volunteering for the Crabtree Nature Center Earth Day Nature Play event. Assist with Greeting, Kids Crafts (no artistic ability needed) and Water Color Painting. Cranberry Slough Nature Preserve is surrounded by woodlands, savanna, and prairie. Distinguished by its peat bog ecosystem cradled by rolling upland woods, the site is a relic of the glacial era and supports habitats uncommon this far south. Restoration activities focus on around the removal of invasive species like honeysuckle and barberry. Collection and distribution of seeds may also be done in season. Wear long sleeves, long slacks or jeans, and sturdy shoes. Natural fiber clothing (wool or cotton) works best, especially when burning brush piles. Multiple layers on cool days allow you to shed a layer as the day warms. We provide gloves and the necessary tools, as well as snacks. Dan Ryan Woods is the last remaining undeveloped portion of Blue Island, one of the highest points in Chicago and once an island in ancient Lake Chicago. The site preserves remnants of woodland and savanna plant communities. Volunteer groups have turned more attention from the playfields to the wilder parts of the preserve. The volunteers are removing invasive species, promoting native trees and wildflowers and restoring eroding slopes. All the necessary tools and work gloves are provided. All participants should be dressed for a day of outdoor work. Please wear covered shoes (hiking boots or tennis shoes) and long pants. Clothing should be made of natural fibers such as cotton or wool (no synthetic clothing) as workdays often have brushpile burns and stray embers can "burn" clothing. Please wear comfortable clothes that can get dirty and your own drinking water. Depending on the season, a hat, sunscreen, or insect repellant may be good items to bring to a workday. To ensure enough tools and supplies can be provided, please RSVP to Benjamin Cox at least two days before the event. Get to know Deer Grove while restoring the land. Meet volunteers who enjoy the outdoors and want to be hands-on in helping to protect important ecosystems. Activities range from the challenging to the easy! Seed collecting and planting, brush cutting, controlled burns, rare species monitoring, guiding tours, planning programs and many other opportunities. No experience needed, we will train for free! Dress for weather and work. Training and tools provided. Workdays are planned for 1st and 3rd Sundays from 1 to 4pm and 2nd and 4th Saturdays from 9 to Noon. We meet at Camp Reinberg which is off Quentin Road just north off Dundee Rd or far west end of parking lot off Dundee Rd entrance. The goal of the Deer Grove Natural Area Volunteers is to restore to pre-settlement conditions the native plant and animal communities found in the forest preserve. Volunteers make this project possible and new faces are welcome. No previous experience is necessary, though knowledge is always valued. Come out, meet local citizens who care about our local ecosystems and learn about our natural heritage at our Nation's very first forest preserve. We meet on the first and third Saturday of each month from 9 to Noon, year around. We cut and remove invasive species such as buckthorn and other activities to restore the ecological health of Deer Grove. We are of all ages, and we share a common interest in restoring and protecting our local natural areas. Friendly people, c'mon out! We work as long as it isn't raining (at least not too hard) so dress warmly for cold weather with good work shoes for walking in rough terrain. Layering is always good. Long sleeve shirts and pants are usually good even in warm weather to avoid mosquitoes and poison ivy. Bring insect repellent if you are sensitive. Work gloves and tools are provided. Feel free to bring water and anything else you might want while working. Come out, meet local citizens who care about our local ecosystems and learn about our natural heritage at our Nation's very first forest preserve, an Illinois Nature Preserve. Help us to restore this prairie and savanna ecosystem! We are looking for a small group of adult individuals who will help us to control invasive buckthorn and other species and to encourage native plants and wildlife to return. Tools, supplies, and training will be provided. Park on Paxton Ave. near Dolton Rd. Eggers is a mosaic of wooded ridges where spring wildflowers thrive and narrow wetlands filled with sedges, marsh grasses, and waterfowl. Help remove invasive species that threaten to crowd out native plants. Trained leaders show you how to identify plants that don't belong and demonstrate how to safely use hand tools. Workdays may also include native seed collection, hand pulling invasive plants, and nature walks to enjoy the preserve. To ensure enough tools and supplies can be provided, groups (3 or more volunteers) please call John Pastirik at least two days before the event. The Forest Preserves of Cook County offers many educational opportunities. Classes are taught by district employees and most offer the opportunity to earn certified arborist CEUs. Come and learn the basics of wetland delineation as tailored to forested wetlands. We will discuss the types of forested wetlands within the Preserves, and their native associates. The outdoor component for this class will delve into hydric soils and hydrology indicators. Winter is a great time for brush removal and restoration work- and for improving your woody plant id skills! This class will focus on how to identify native and non-native trees and shrubs by taking a closer look at the bark, seeds, and buds. The second portion of this class will be held outside as we practice tricks to identify trees & shrubs without their leaves. Weekday classes are typically offered once per month. You can sign up for a class 90 days ahead of time. 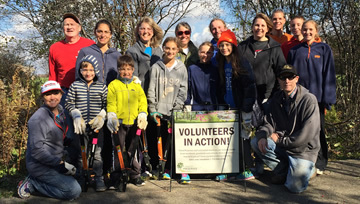 Habitat 2030 is a group of dynamic young(ish) volunteers who care about the remarkable natural areas of the Chicago region. We are continuing the illustrious history of local volunteer stewardship and helping to build a culture of 20-30-40-somethings who will understand and care about our preserves long into the future. We gather at weekend workdays to remove invasive plants, gather and spread seeds, and more. After hard, satisfying work, we gather around the brushpile fire for brats, s'mores, and whatever else we can figure out. Everyone is welcome! We'll show you the basics and help you discover the overlooked ecological treasures within miles of our city. All you need is a pair of tough shoes or boots, a sweatshirt and coat if it's cold, long pants, long-sleeved shirt, a water bottle, and a hat. We'll supply work gloves and tools. We strongly recommend against nylon or other synthetic fabrics, as sparks from the fire will melt holes in them. Harms Flatwoods is dominated by huge bur and swamp white oaks, with an understory of black ash, winterberry, hazelnut and other native trees and shrubs. Flatwoods communities are very wet in the spring and fall rainy seasons because a clay pan underlying the top layers of soil tends to hold water. Join North Branch Restoration Project volunteers in removing invasive species, allowing the rich understory of this unique ecosystem to thrive. Tools and instructions are provided by the steward. It is not necessary to pre-register, but if a group of more than 5 are planning to come, please let the steward know that, so that adequate supplies can be provided. Join North Branch Restoration Project volunteers as we remove invasive European buckthorn, brush and weeds from this fine oak woodland situated along the North Branch of the Chicago River in the village of Glenview.The woodland east of the River includes a mixture of upland woods, floodplain and wet woods. The close-by North Branch bike trail offers glimpses of the river interspersed with woodland vistas. Join North Branch Restoration Project volunteers as we remove invasive European buckthorn, brush and weeds from this fine oak woodland situated along the North Branch of the Chicago River in the village of Glenview. Harms Woods is notable for its rich native flora. The plant list includes over 350 native species, over 40 percent of which are conservative species found almost exclusively in healthy, intact ecosystems. We are holding two testing sessions on March 29th at Salt Creek Resource Management at 500 Ogden Avenue, Western Springs, IL. To find out about other local testing options visit www.pesticidesafety.illinois.edu. You will have to pay the $15 fee for each category you would like to test in. We highly recommend taking the General Standards & Right-A-Away. The Forest Preserves of Cook County hosts Pesticide test sessions and Pesticide Test Prep classes every November and December to help experienced FPCC Ecological Stewardship Volunteers earn an Illinois Pesticide (Herbicide) License. 15+ hours of reported stewardship experience or the recommendation of FPCC staff or a site steward is required for enrollment. See the attachment "document" above for details of other ways to get certified. Hidden Pond Woods offers a variety of delights, all within a short walk of the parking lot. The southern portion is oak woodland with small wetlands. The northern half is largely prairie, growing in increments year by year as more ground is reclaimed by volunteer efforts. Restoration activities include the removal of invasive species like honeysuckle and buckthorn, and the collection and distribution of seeds of desirable native plants. Join the dedicated Hofmann Dam River Rats in their semi-annual litter cleanup along the banks of the Des Plaines River. Enjoy wildlife and learn about the river while helping your local natural areas. Barrington Area Conservation Trust is partnering with the Forest Preserve and holding restoration workdays on the third Sunday of the month, 10:00-12:00, at Horizon Farms. Those interested in conservation and sustainability can support our community by volunteering for a restoration workday. Discover the unique nature of our region, from prairies to wetlands. The Illinois Butterfly Monitoring Network is a diverse group of volunteers who identify and count butterflies on more than 400 routes on sites in Illinois. 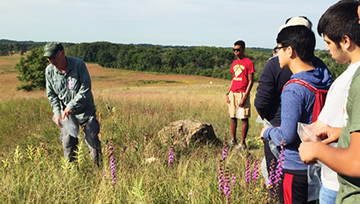 Volunteers collect data that are valuable to scientists, researchers and land managers in evaluating how restoration practices and other changes affect butterfly populations. These training workshops are recommended for butterfly monitors interested in advancing beyond the beginner's checklist and monitors needing to review protocol and identification. This site sits along the south bank of the Chicago River. The woodland is dominated by majestic ancient Bur Oaks and filled with wild hyacinth in the spring. An adjacent old field is being restored to prairie. Join the North Branch Restoration Project volunteers as they work to protect the site from weedy invasive species and other threats. Invasive Species Monitors explore and monitor a site for new or expanding populations of invasive species and report what they find to the Site Steward. All work requires approval and coordination by the Site Steward and must be within the management schedule. If authorized by the Site Steward, they may also remove invasive plants or seedheads - or treat with herbicide, if a certified Herbicider. From milkweed to goldenrod, Kickapoo's native prairie plants need your help. Join an inspiring movement of volunteers gathering to restore this special site along the Little Calumet River. Learn to restore diverse wildlife, trees, wildflowers, and health in our forest preserves and our river systems. Our goal is to grow a community of people who will become caretakers and stewards through on-going education and training. All the necessary tools and work gloves are provided. All participants should be dressed for a day of outdoor work. Please wear covered shoes (hiking boots or tennis shoes) and long pants. Clothing should be made of natural fibers such as cotton or wool (no synthetic clothing) as workdays often have brushpile burns and stray embers can "burn" clothing. Please wear comfortable clothes that can get dirty and your own drinking water. Depending on the season, a hat, sunscreen, or insect repellant may be good items to bring to a workday. While this site is accessible by public transit, we can also work to arrange carpooling if desired. Join us to help remove invasive species that threaten to crowd out native plants and the wildlife in this beautiful prairie ecosystem! Trained leaders show you how to identify plants that don't belong and demonstrate how to safely use hand tools to remove them. All the necessary tools and work gloves are provided. Depending on the season, workdays may also include native seed collection for dispersal in areas cleared of invasive species, hand pulling invasive grasses and flowers, as well as nature walks to enjoy the preserve.